Boosting collagen production is one of the most used methods to create a smooth complexion. 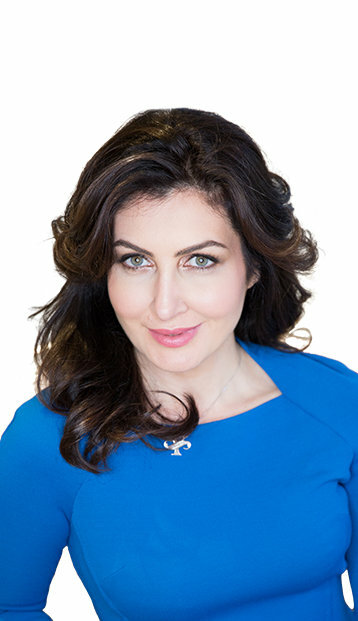 In Santa Barbara, Santa Maria, and Ventura, CA, as well as the surrounding communities, Sara Yegiyants, MD, FACS, a triple board-certified plastic surgeon, offers microneedling to residents to stimulate collagen production for a rejuvenated and radiant appearance. Dr. Yegiyants performs microneedling using collagen induction therapy (CIT), which stimulates the body’s own natural collagen production. A handheld device with tiny needles is rolled over the targeted area creating microscopic channels in the skin. This prompts the body’s healing response, which promotes collagen production. Microneedling is effective for diminishing and even reversing the signs of aging and other skin imperfections. Microneedling is minimally invasive and causes no tissue damage. The tiny micro-channels help the body absorb topical treatments, including PRP therapy, to reduce fine lines and wrinkles; improve elasticity and firmness; diminish acne scars and discoloration; and other issues that create an older appearance. Microneedling is safe for all skin types as it uses the body’s own healing response to increase collagen production. There are certain parameters to be eligible for microneedling, which are discussed with Dr. Yegiyants during the initial consultation. When performing microneedling, a handheld device with micro-needles is rolled over the targeted area of the face to create micro-channels. When this happens, the body’s healing mechanism kicks in boosting collagen production, which increases volume in the layers of the skin, from the deep layers to the surface. It is common to brush topical treatments over the micro-channels to allow it to penetrate the deeper layers of skin reinforcing the effects of microneedling. To minimize discomfort, a topical numbing cream may be applied. Microneedling typically takes about an hour to complete. The tiny holes take a few days to heal. When Will I See the Results from Microneedling? Dr. Yegiyants is meticulous when treating the skin thus minimizing the recovery process. The full effects of microneedling reveal themselves with several treatments spaced out about six weeks apart. Once the results have been achieved, it is important to follow a good skin care regimen to maintain the results. How Much Does Microneedling Cost in Santa Barbara? The cost of microneedling varies with each patient based on several factors including the number of treatments, the extent of the area treated and whether other treatments are performed at the same time. During consultations, we discuss the cost as well as payment options. We accept cash, checks and major credit cards in addition to offering financing through Alphaeon® and CareCredit®.